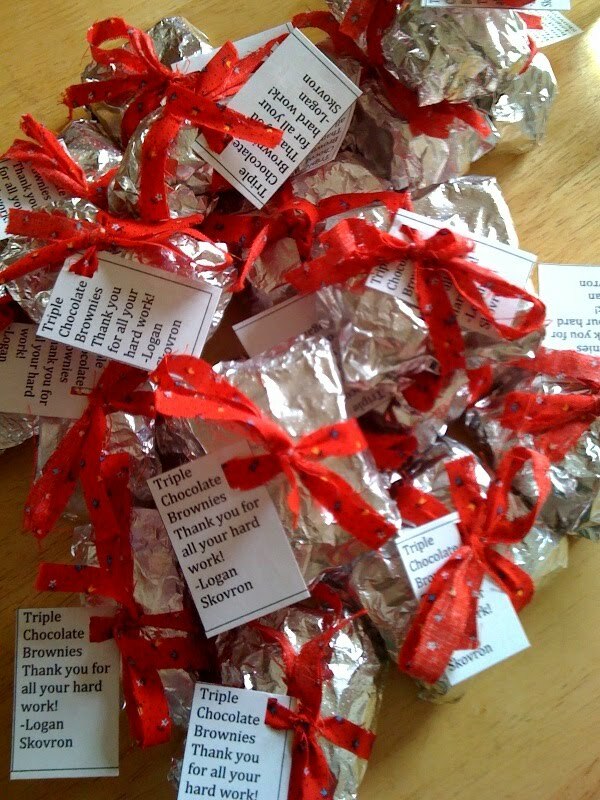 Teacher Appreciation Week is currently happening at Logan's school. Back in the day of SAHM life I would have made something from scratch but now that I am working that just isn't possible. But that doesn't mean the dessert table in the teachers lounge is going empty! Boxed brownies it was. 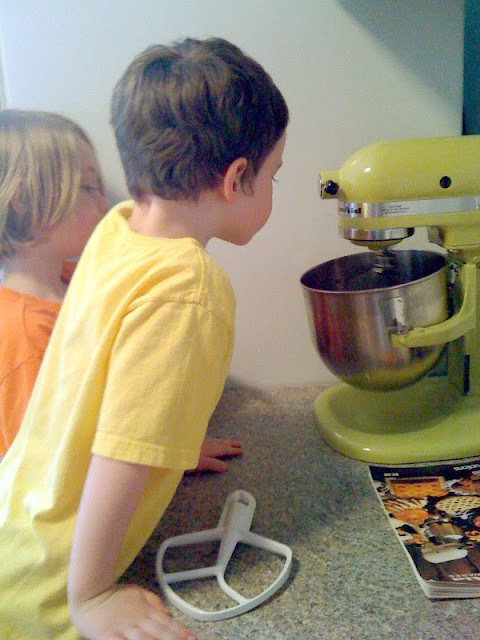 And the best part was that the boys helped me and I got to use my new Kitchen Aide Mixer. I'm now in love!